An athlete that Scheme Director John Powell MBE knows very well as part of his elite Trackspeed1-UK squad. Brandon has shown maturity beyond his years and was recognised as being a great example of how sport can be used to work to positive outcomes. Brandon has been one of the country's most improved sprinters over the past year featuring in recent National Championships. His journey from an area which was severely effected by the 2011 riots and where young people faced challenging times to now competing at National level in athletics makes him a great role model. 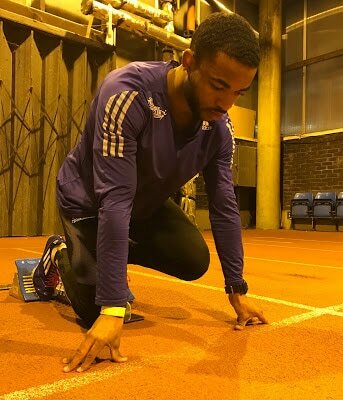 Met-Track welcomed Brandon as an ambassador in 2016 and will be putting him through coaching qualifications so that he is able to pass on his expertise to the young people of London.